Video game statue experts Gaming Heads have stared into the mouth of evil, and it licked their face and wriggled its theoretical pseudopods gleefully, and that's probably why these horrific Doom plushes look so damnably huggable. The Cacodemon and Pain Elemental were once the stuff of nightmares. Back in the day, when first-person perspective was a relatively new thing, these guys could make a grown man pee himself, or so I've heard. They're not so tough now, reduced to six inch plush pets, the first softies from a company that generally makes hard things. 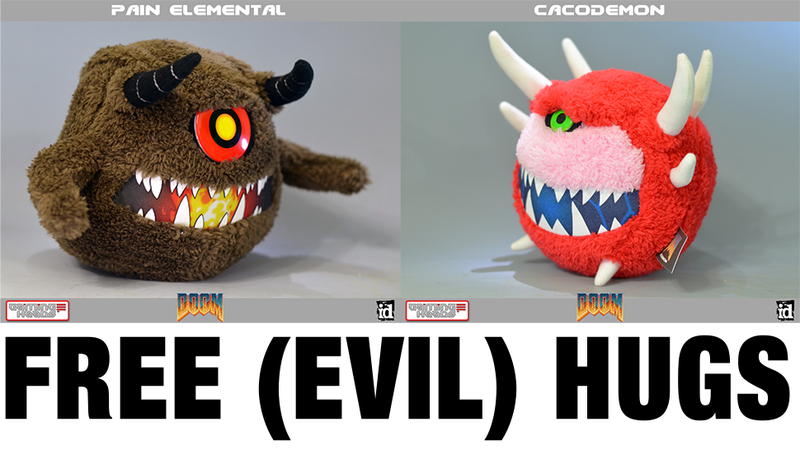 Both the Pain Elemental and Cacodemon are available for purchase now for $14.99 apiece from Gaming Heads.